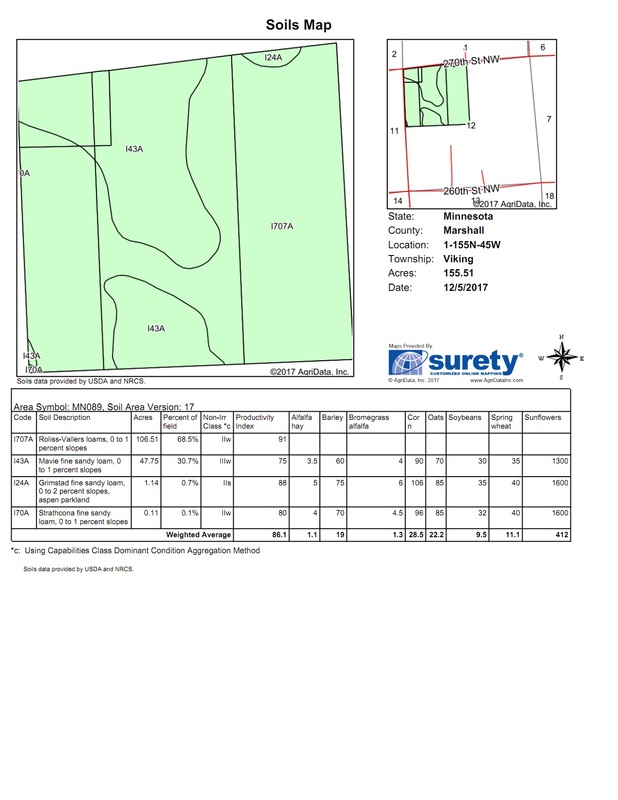 For Sale: 244 acres farmland in E ½ SE ¼ Section 2 & NW ¼ Section 12 of Viking Twp. MN. T.155 R.45 Good productivity indexes and ready to plant for 2018. RE taxes under $4.00/acre. 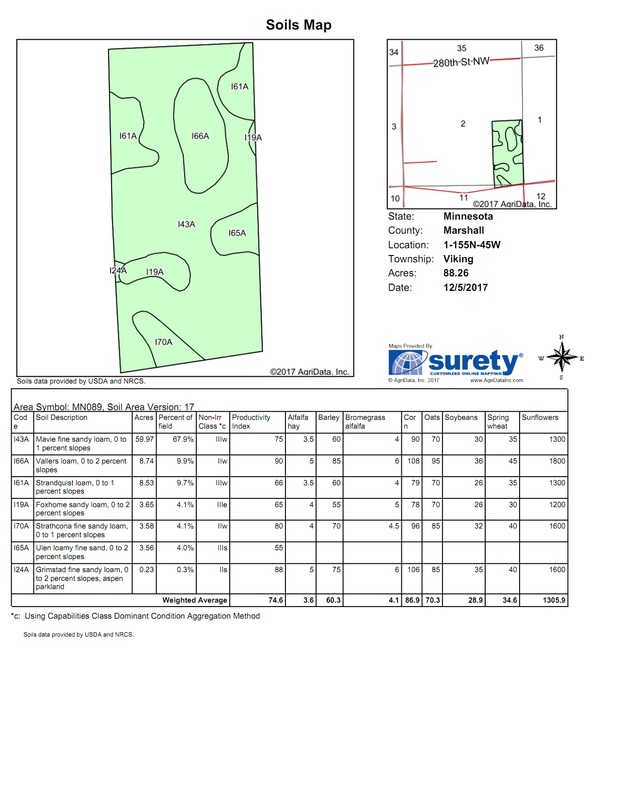 $2,100/acre. 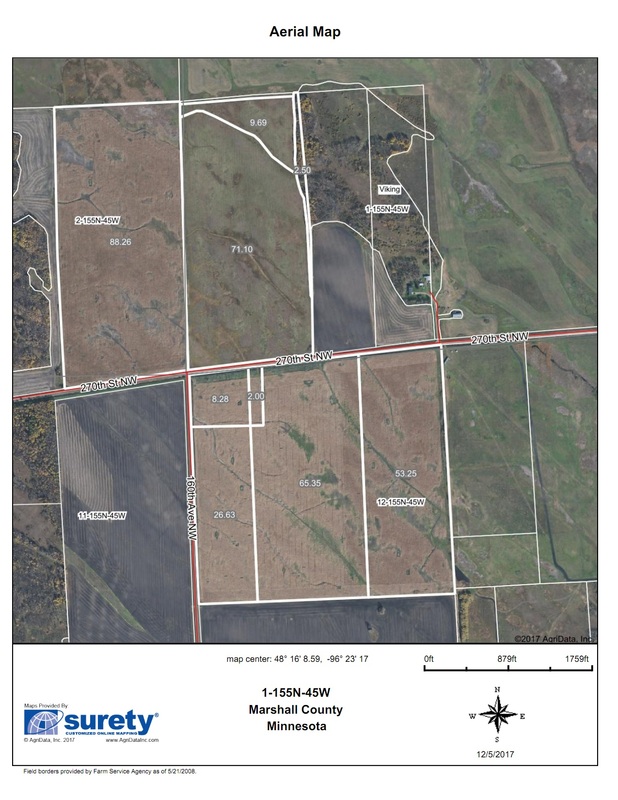 Also For Sale: 83 acres of CRP in W ½ SW ¼ Section 1 of Viking Twp. MN. Expires in 2018. Good hunting area. RE taxes under $4.00/acre. 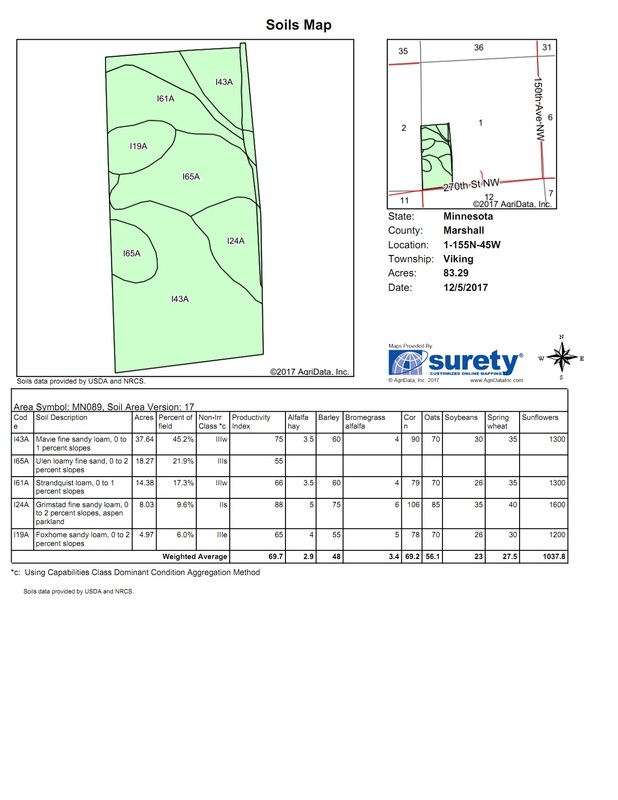 $1,600/acre. Sold!